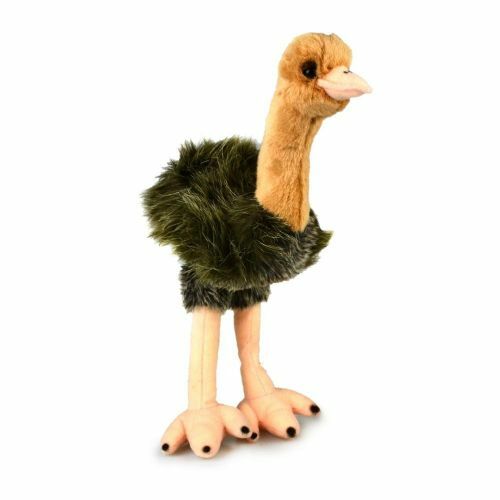 Ed the Emu is fluffy and cute Australian gift. I was always afraid of emus, ever since they knicked my chips at the zoo when I was a toddler.... Recently I thought that perhaps this was a silly childish fear. That is until I left my daughter in the pram to take my toddler to meet a kangaroo.... and then i heard the screams as the emu leaned in under the hood to take the biscuits off her seat... yes yes I know he wasnt going to hurt her but oh my goodness I at least I now know I can run. Needless to say Ed here is not scary at all - I can cope with this type of emu. I would even say he is adorable.